Wegmans was founded in 1916 by Walter and John Wegman in Rochester, New York. The company has been in the family ever since. The company was awarded Fortune magazine’s top 4 in the list of Companies You Want to Work For. They are involved with charities that help reduce hunger. They donate to local food banks regularly to help people who are hungry. Wegmans has a total of 184 stores among New York, Pennsylvania, New Jersey, Virginia, Maryland, and Massachusetts. They are committed to bring only the healthiest and freshest food to their customers and they have been doing so for over a century. You can be sure that when you go to Wegmans, you are on your way to a better life through good food. Entertaining guests should never be a burden or stress you out. Get catering from Wegmans for that lovely party you are planning. You will only have to choose from their extensive menu and order ahead of time to be sure your choices are available. Choose from pizzas, sushi, cheese, vegetables, fruits, and seafood, pasta. Wegmans think about everything when it comes to catering. The package includes utensils for your guests. When entertaining guests or serving food for a party, you will need a good choice of healthy and delicious food. Wegmans has made it easy for you with their catering catalog. Ordering is so easy, just go to their website and check out their catalog where they have the full menu, party packages. You can pick what to order then check out. 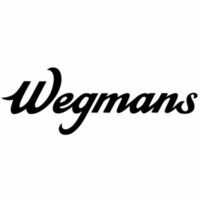 You can reach your nearest Wegmans from their telephone number and order directly. You can also stop by their Catering Department or Prepared foods. The Wegmans catalog may change throughout different seasons as the availability of the ingredients may have changed. Place your orders early; 24 hours before your party. Then, you can pick-up your order at your nearest store. From the menu, you can choose from their different complete package ones. There is the Game Day Party package that serves 16-20 people. This has your combo sub and wrap tray, baked potato salad, veggie tray, Tortilla chips, smoked chicken wings and utensils. If you have a lunch party for 12-16 people, the Sub Lover’s Lunch Party Package is perfect. You get the Sub Lovers Tray with large bag of Wegmans wavy chips, medium fresh fruit tray, large Caesar salad, chocolate cookies. There are so many items to choose from their menu. You can be sure to find something for anybody even the pickiest eaters. Wegmans menu has Asian selection, Mediterranean, sushi, fresh fruits and vegetable, sandwiches and wraps, salads, international cheeses, numerous entrées, various side dishes, breakfast menu and pastries, and of course dessert. A small group of 12 getting entrées and side dishes, with a fruit or vegetable platter would cost around $125. The choices for entrées are numerous. You can have the chicken parmesan, Lasagna, or sliced honey brined turkey breast, beef tenderloin and many more. A bigger group of 16 getting entrees and side dishes with vegetable or fruit and dessert would cost around $195. There are so much to choose from the sides menu; coleslaw, roasted vegetables, garlicky greens, kale and quinoa cakes. A group of 20 people getting two entrées with several side dishes or fruit and vegetable trays with dessert and drinks would cost around $240. With this value, you get so much more choices and you will be sure your guests will enjoy your party.